Our office participated in a Thanksgiving Project to donate food and items to Helping Hands, Caring Hearts Ministry, which sponsors a food pantry to feed the hungry. Above is a picture of only some of the hats, though we actually sent 30 hats of all sizes to Helping Hands, Caring Hearts Ministry, along with the food many contributed. 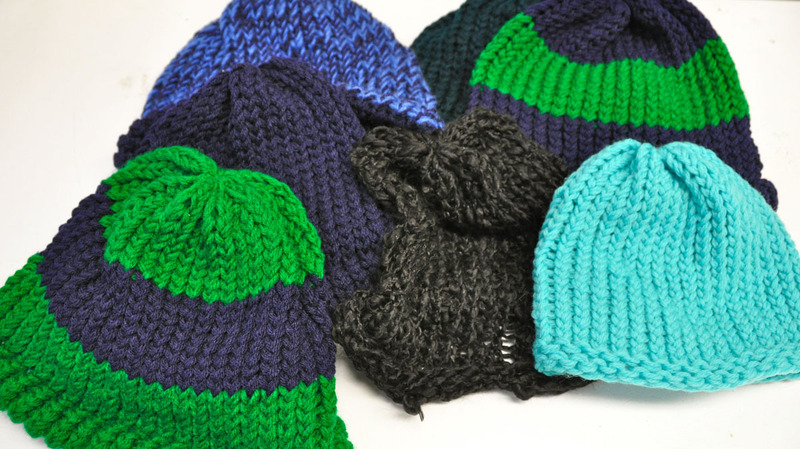 We hope that the hats will keep folks warm during these cold days and nights but also provide some hope. As Thanksgiving approaches and we prepare to give thanks for the many blessings in our lives, there are many people experiencing difficulty and in need of a little help this year.